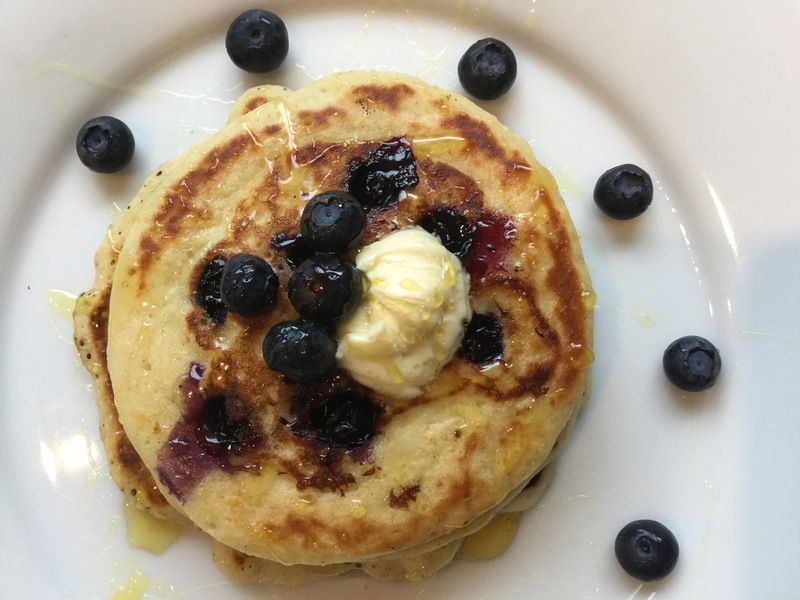 The method is just the same as for traditional pancakes, with just a bit of tweaking of ingredients. Start by adding the lemon juice and syrup to the soya milk, this will thicken it and provide a slightly sour flavour. In a mixing bowl add all the other ingredients, except the blueberries, and whisk together to incorporate. Add the soya milk mixture to the four mixture and whisk again to leave you with a thick batter. Heat a, lightly oiled, frying pan on a medium heat. Pour about 2 tablespoons of mixture into the pan and drop a few blueberries onto the batter. Flip the pancake over when the top starts to look set and the underside is a golden brown. Cook for another couple of minutes till golden on both sides and the blueberries have burst. 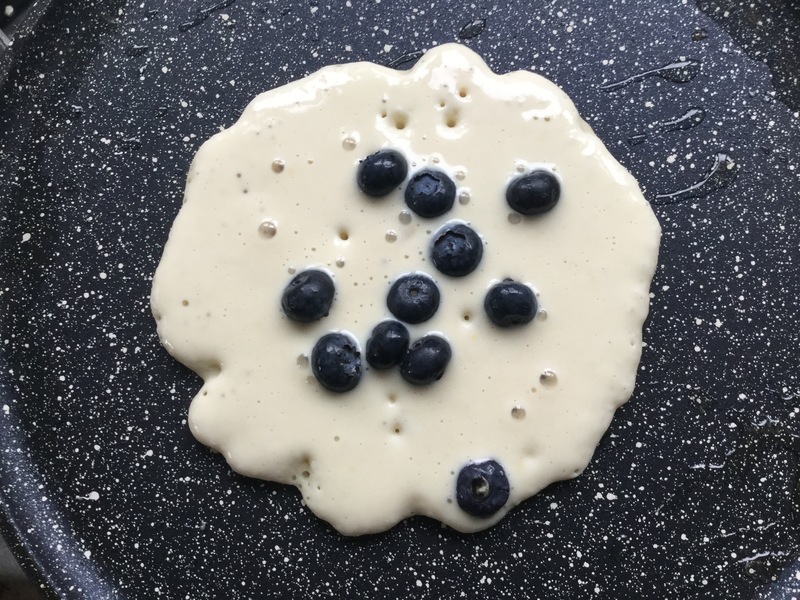 Serve with more blueberries, syrup and anything else you fancy! Oh I love pancakes great combination of flavours. I personally find that soya milk works best for me when making pancakes. Thanks for sharing, Chloe. Hi Chloe! Oh absolutely with the soya milk! I had a go at making some with water and they were definitely missing the richness. Oh man, I love the lemon rind idea!! hahaha well I’m sure they were delicious. That’s the most important thing afterall!